Utsav Singh Rathour is the founder of Code Pixelz Media, a WordPress development company. He also owns CodeThemes.co, a theme market for all the WordPressers and customization service websites. 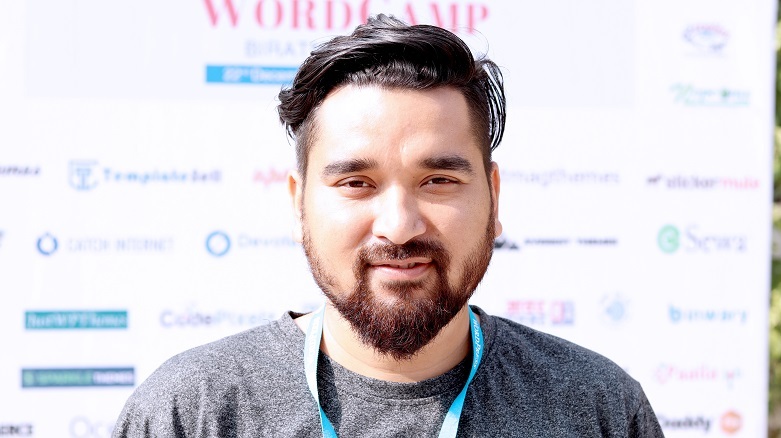 Utsav is one of the most active members in the WordPress community of Nepal and loves contributing to the community. He’s always been a part of WordCamps that has happened in Nepal. Utsav Singh Rathour at wcbrt2018. I like to call myself a WordPress enthusiast and a wannabe. Because I “wannabe” so many things. I am from Kathmandu. The community here is very active and we have 6600+ members in our Facebook group. We organize regular monthly meetups and also have been doing WordCamp events since 2012. In fact, the next one is scheduled for 16th and 17th March 2019. So, if you would be interested, the early bird tickets are out now. How and when did you start your journey with WordPress? Well, it started at around 2007. So, it’s been quite a long time. It started as a CMS for which I was looking for in order to explore and work on it, while WP wasn’t considered a proper CMS back then. I took a look at other CMS platforms as well but then decided to stick with WordPress and it has been the case ever since. Any challenges you faced during your initial phase in WordPress? If so, how did you overcome them? The main challenge at first is always the learning curve I think. But with WP, the learning curve was easy and when I needed help, there was this huge community globally and locally as well that I had never witnessed before. So many people were willing to help. I just had to stay with WP. And I think it might be similar to a lot of people, who are into WP. Were you excited about your talk in WordCamp Biratnagar? What was your talk about? Of course! I talked about giving back to the community. It basically covered why one should give back to this already awesome community and what are the ways one could give back to the community. I basically wanted to motivate people for giving back to the WP community. What do you hope attendees will take away from your talk? Like I said, the way they can contribute to the community. And if even one person starts to contribute to the WordPress ecosystem, because of my talk, I would consider that a success. What do you think about the WordPress community in Nepal? I think this is among one of the most active communities throughout the globe and it is growing. So many people enthusiastically are coming forward to contribute, meet and grow the community. It is simply awesome. To put it better, due to this WordPress community that started around 2011 with a handful of people (3 to be precise), there are probably more than 20 companies that have formed employing hundreds of people, in a country like ours where every second person, just wants to move out citing lack of opportunities. Isn’t that amazing? Something so positive and so assuring! So, you might now have the idea of what I think about the community. Talking about WordCamps, what fascinates you the most about WordCamps? People. You get to meet so many people—new and old that you otherwise might not have had time to catch up with. We get to discuss ideas, business, life, and more. 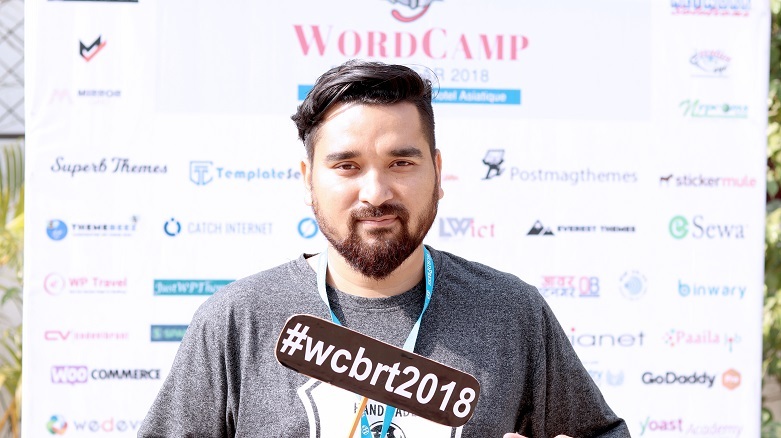 How do you think WordCamp Biratnagar 2018 is different from any other WordCamps you’ve been to? I liked how they have tried to include a lot of students, given that there are only a few IT companies. They are strengthening the base. How have you been contributing to the WordPress community? Like this. I speak at WordCamps and Meetups. I organize WordCamps. I help translate WordPress to Nepali, review themes, and contribute with free plugins and themes. What advice would you give to new WordPress users who’re only joining the WordPress community? Don’t be scared to reach out. These are some of the friendliest and helpful people you will meet. So go ahead and ask. What do you think about the female participation in WordPress? It is less and we know that. But the best thing is, it is growing. Even in WordCamp Nepal 2012 (there were no city based WordCamps back then), there were I think 2 or 3 females. But that has grown to 25+ females on the most recent WordCamp Kathmandu. Even here, there is a good number of female participation. So it is growing and I would say growing very fast. But it is still far too less than what we would expect it to be. What is your go-to source for anything and everything WordPress? Besides WordPressing, what do you do for fun? I like to travel. I make sure I travel every few months. It takes a lot of pressure away and refreshes you. And lastly, Gutenberg editor was released with WordPress 5.0 as the default editor. Do you have any thoughts to share? Yes. Before deciding on what harm it will cause and what not it will do, based on the reviews on the repository, I would suggest you go ahead and give it a try. It is one of the best things that has happened to WordPress and we will probably collectively realize that a year or two later. We want to thank Mr. Utsav Singh Rathour for taking out his time for this interview which we hope has inspired people to give back to the community. Do you want to know more about this inspiring personality? Find Utsav on Facebook or Twitter.